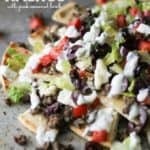 Gyro Nachos with Pita Chips for Game Day Snacking! 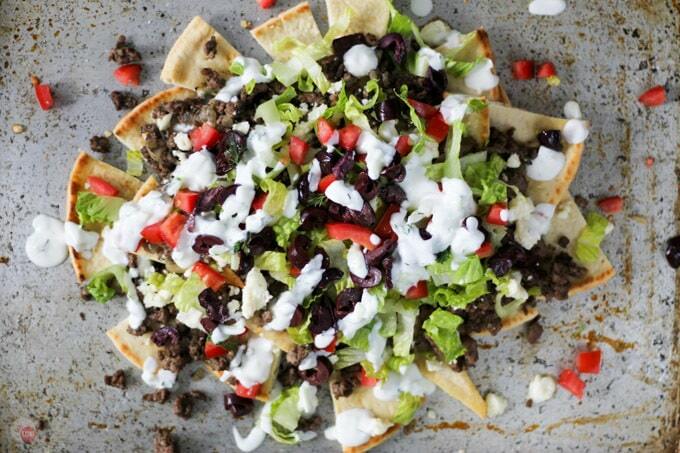 Home » Gyro Nachos with Pita Chips for Game Day! Gyro Nachos with Pita Chips for Game Day! Love to grab a Gyro sandwich on the run? You can have all the flavors of a Gyro but in the form of Gyro Nachos. Perfect for a party and full of Greek flavors! Make everything ahead of time and assemble when ready to wow your guests! My husband Brooks is really the one that introduced me to Greek food and a gyro. When he travels, which is all the time, he eats Greek or Mediterranean food at least once during each trip. He is drawn to a gyro and the flavors of cucumber, dill, lemon, lamb, and that tasty pita bread! Know what I don’t see a lot of? Greek Nachos much less Gyro Nachos! I was never a fan of lamb until recently so I guess you can say that my palate is “growing up” and getting more mature, unlike my sense of humor. I think my taste bud turn-around is coming after dropping most of my sugar and processed foods that were in my diet. Brooks still reminds me when I eat a sweet potato that I used to HATE them. Now I really like them and eat them all the time. People change, especially me! After making my Greek Seasoning Mix, I was desperate to try it on some lamb. A gyro is a perfect vehicle for trying lamb for the first time. Lamb is a small, yet integral, part of a gyro but there are so many other flavors in it. Bright and crisp cucumber, crunchy lettuce, salty feta cheese, juicy tomato, briny Kalamata olives, and that warm flatbread. It’s hard to find fresh flatbread and pita where I live so I have to buy from the grocery store, but if you can find it fresh, get it! My Pa used to get pita at a local Greek place in Jacksonville where they made it fresh every day, but sadly, that place is out of business now. The only thing that I need to rev up store-bought pita is a warm oven and some olive oil! 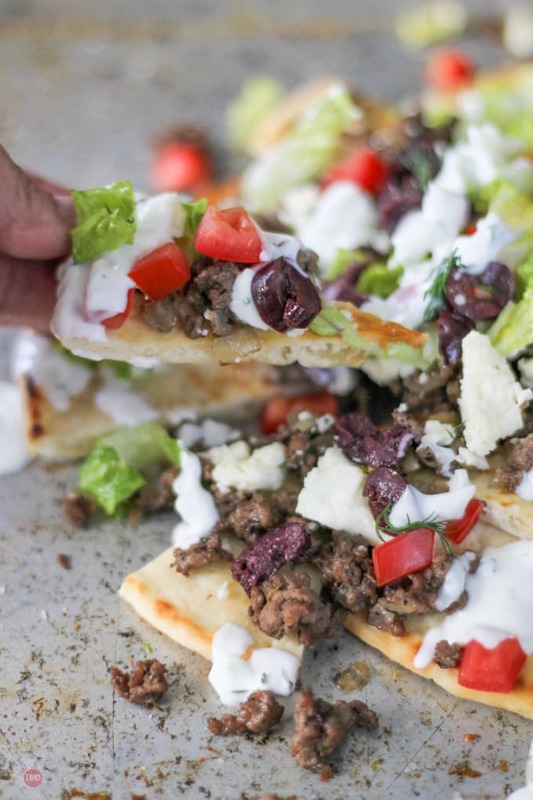 All the brightness of the fresh ingredients play so well with the warm pita bread chips and the spicy lamb make the perfect bite! Love to grab a Gyro sandwich on the run? You can have all the flavors of a Gyro but in the form of Gyro Nachos. In a medium saucepan, add your olive oil and heat to shimmering. Add your lamb and stir to break up the chunks. Add the Greek Seasoning Mix and wine and stir. Cook the lamb until it is done. Remove the lamb and place in a bowl. Slice the pita bread into wedges, like a pizza. Place on a baking sheet and bake for 5 minutes or until warm and toasty. Remove the pan of pita and add the lamb and feta cheese on top. Place back in the oven to warm the lamb and cheese for 5 minutes or until the cheese is melted to your liking. 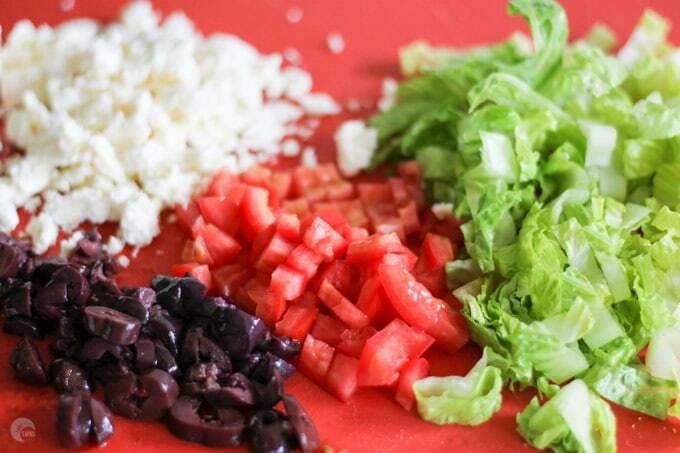 Remove the pan from oven and add the toppings (tomatoes, onions, lettuce, olives, and tzatziki sauce). 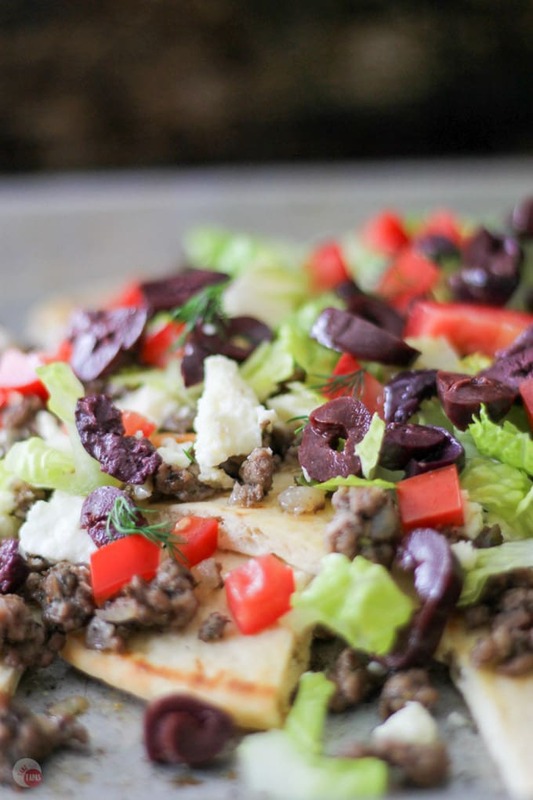 If you are wanting a gyro but need to share with friends, make my Gyro Nachos! Perfect for a party! While onion is called out in the ingredients, it doesn’t appear in the directions. I was unsure whether to cook it in with the lamb or us it raw as a topping. I did that latter as some like them and some do not. Sorry for the confusion. I must have left them off the instructions when I was typing. Yes, I used them as a topping instead of with the lamb because I have the same problem. A lot of people don’t like them, especially red onions if I use them. Feel free to add them to the lamb when cooking or save for a topping later one. Pickled onions also make a great topping. Thanks for reading! What a fun “out of the box” idea for yummy nachos! Thanks Sandi! I love a gyro but can never eat the whole thing myself! These look delicious! I don’t think about making gyros at home, but I really should consider adding that to my menu list. These look like a great way to do. Thanks so much Michele! I can’t wait to hear how you like them! I just love Gyros and this is such a creative twist! If these Nachos are anything to go by then the rest of June is going to be awesome. Tastebuds certainly do change – i can eat less chocolate cake but heaps more savoury these days. I think I should make these net time we want something fun to share with the kids on a Saturday night. This looks so delicious! I’ve grown to like lamb (like you, I think my palate is growing), and my favorite way to enjoy it is in a gyro. This is definitely a must try! So glad you were able to share this with us on #shinebloghop this week! Thank you for a great party Maria! Oh my goodness!!! Gyro Nachos! This sounds awesome, I love a good gyro. I would love to try this, but I have no idea where I would get ground lamb in my neck of the woods. Thanks for sharing. 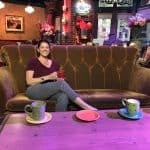 Visiting from the Creative Corner. I found my ground lamb next to the beef in my meat counter but some places only have it frozen. Maybe you can find it there. If not you can always use ground beef or turkey with the spices! Thanks for reading! I want to make these super bad. They sound delish. Thanks for sharing with us at Family Joy Blog Link Up Party this week. I love recipe mash ups like this! So unexpected but it makes SO MUCH SENSE! Awesome! These look so fantastic, you don’t get much Greek food around here so I don’t get to try it very often. Gonna have to start making it myself when it looks this good! I love how my palate is changing! 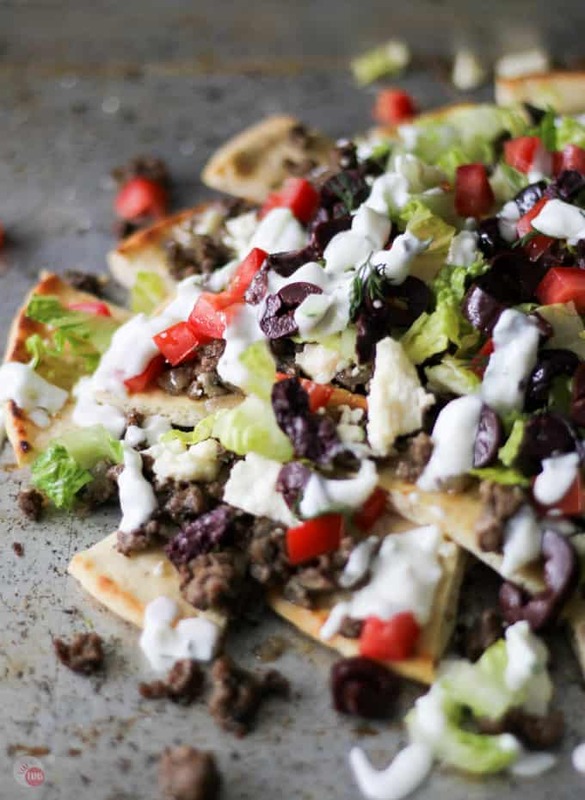 Oh my gosh…I love gyros and gyro nachos sound amazing! Thanks so much for sharing with us at Share the Wealth Sunday! What a great idea! Thanks for sharing on the What’s for Dinner Link up! Chris, I’m going to be making this one soon! Perfect summer meal! Love love love (like, really love) this idea! I can never go wrong with a Gyro, but putting one in nacho form is just genius!